This document assumes that you are installing both SQDR Plus and SQDR on the same Windows computer. 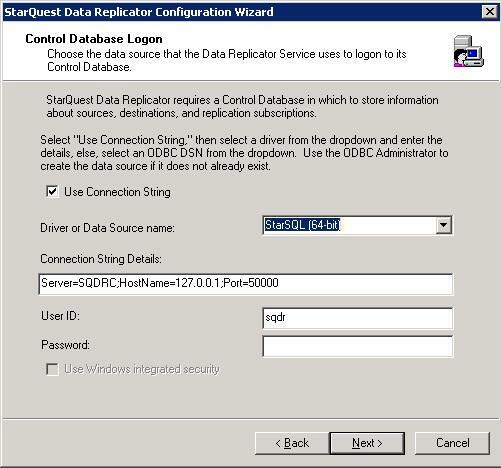 This configuration (known as a combined tier 2/3 implementation) is the most common deployment of the StarQuest Data Replicator solution. If you are using a split tier 2/3 implementation, return to the master index for the Quick Start Guide to Using SQDR Plus and select the appropriate Part 2 document. TCP/IP access to the source database host and the destination database. DB2 Administrator: Using StarAdmin (typically installed with SQDR Plus), bind packages to the database. This requires knowledge of the database host and sufficient user privilege. Provide database connectivity information to the Client-Platform Administrator to be used when configuring a source. Install ODBC drivers for source and destination databases if necessary, and determine connection strings for the source and destination databases. Run the SQDR configuration, connecting to the DB2 for LUW instance installed with SQDR Plus. The Windows installer for SQDR Plus includes StarAdmin, which will be used in the next step to bind StarSQL host packages. The database connectivity information collected in this section should be provided later to the SQDR Client-Platform Administrator for use in creating ODBC connection strings or data sources. Start the StarAdmin application from the Tools/StarAdmin subgroup of the SQDR Plus program group. SQDR will use the DB2 for LUW instance installed with SQDR Plus; continue to the next step. SQDR was installed as part of the SQDR Plus installation; continue to the next step. If the License Configuration utility is not already running already running, open the StarLicense Configuration utility from Start --> Programs --> StarQuest Data Replicator --> License Configuration. Open the License Configuration utility from Start --> Programs --> StarQuest Data Replicator --> License Configuration. You must have ODBC drivers for each source and destination type. In our example below, we will be using StarSQL to access an IBM DB2 for i source; StarSQL is already installed as part of the SQDR installation. For a SQL Server destination, we recommend installing the latest version of SQL Server Native Client (e.g. Native Client 11). 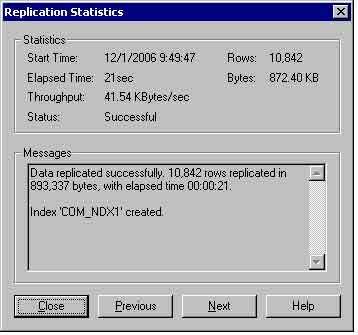 You must configure the Data Replicator service to create the control database tables. On the Control Database Logon panel, you can specify whether to use a connection string or an ODBC data source to connect to the SQDR control database. We will be using a connection string. 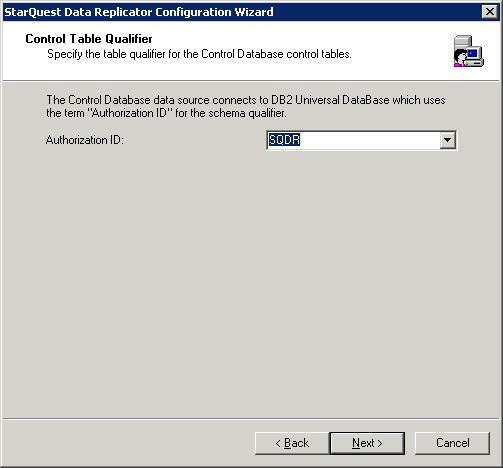 Accept the default values to connect to the DB2 for LUW database "SQDRC" that was created during installation of SQDR Plus. Enter the credentials for the local Windows user sqdr that was created in Part I. Click Next to proceed. On the next panel, select the option Create new control tables and click Next. On the next panel, leave the Authorization ID at its default of SQDR and click Next. Continue clicking Next, accepting defaults for the remaining panels. Select Automatic as the Service Startup Type and choose the Local System Account as the Log On As user. If you would like to change the Data Replicator service properties, we recommend doing this in Windows Services once the SQDR configuration has been completed. Click Next. Select the ODBC Driver radio button. Select StarSQL (64-bit) from the list of ODBC drivers. The ODBC driver name will appear in the Source Name field. Be sure to modify this name to clearly identify the database; the name cannot be changed after it is saved. In our example, we are naming it DB2. Enter a user ID and password that has permission to access that database. SQDR will automatically detect any available Capture Agent schemas and enable incremental replication. If multiple Capture Agent schemas are detected on the host system, select the desired schema from the drop-down menu. We recommend that you supply a Notification Address (host name or IP address) of the computer that you want to receive a UDP notification when changes are committed to this source. Configuring a notification address will reduce the time it takes for the SQDR client to detect and retrieve source table changes. The drop-down menu lists the IP addresses of all active network connections for the local machine. Select 127.0.0.1 from the drop-down menu. Select SQL Server Native Client 11 from the list of ODBC drivers. The ODBC driver name will appear in the Destination name field. Be sure to modify this name to clearly identify the database; the name cannot be changed after it is saved. In our example, we are naming it SQL Server. Enter a valid connection string (maximum 254 characters). For SQL Server, the connection string will look like Server=MYHOST\MYINSTANCE. On the Advanced dialog, set the default value for the Database and/or Object Schema, as appropriate for your database. These values will be used by the SQDR subscription wizard to populate configuration fields and during Copy Member operations. Click OK to create the destination. In the Select a Destination pane, select the destination you added to the Replicator Manager. Review the Destination Options and Replication Options, and click Next to proceed. The Define Criteria pane allows you to specify a SQL WHERE clause in order to horizontally partition the data to be replicated. Enter a valid WHERE clause or leave the field blank. Click the Verify Criteria button to verify access to the table and that the number of rows to be returned are in the expected range. Click Next to continue. The Define Destination Columns pane allows you to review and change the data type mappings for the source and destination objects. If desired, modify the data types of the destination table by selecting one or more columns (use shift-click or control-click to select multiple columns), select Modify Column, make the desired change, and click OK. Click Next. Click Next in the Create Statement pane. The CREATE TABLE statement will not appear until the subscription has been saved. This Quick Start Guide was intended to help you install the StarQuest software and perform a data replication operation as quickly as possible. 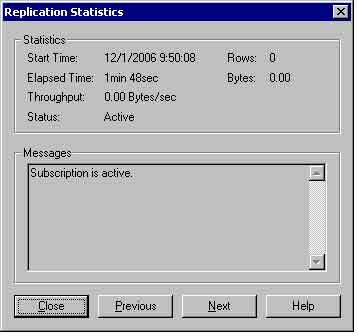 Please continue to experiment with the software by adding additional subscriptions, scheduling replication operations, and performing SQL operations on data before and/or after it is replicated. As you experiment with the SQDR software, refer to the product documentation for more information. The SQDR Plus Control Center (SQDR Manager) provides an online help system that provides more information about configuring and managing the SQDR Plus Staging Agent. If you encounter any problems while using the evaluation software, please open a support ticket at http://support.starquest.com or call +1 415.669.9619 for assistance.